can be assembled into a continuous system. with any other racks series. 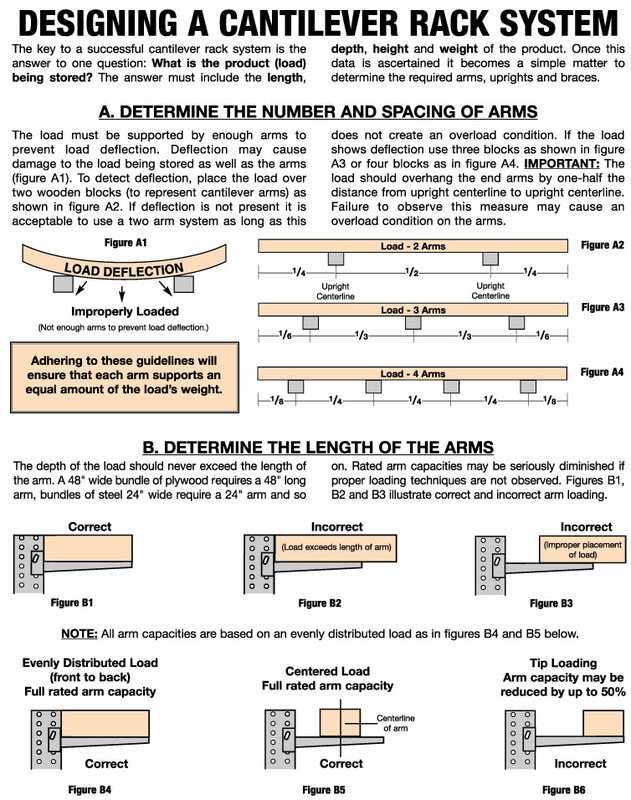 rack system, see section at bottom of page. 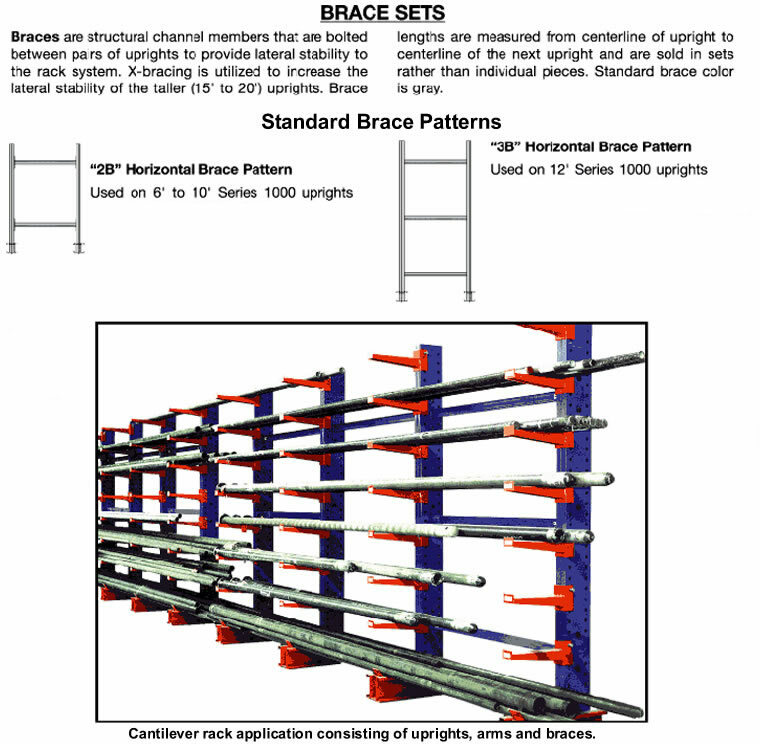 starter and adder sections in Section A.
ADJUSTABLE CANTILEVER RACKS BY INDIVIDUAL COMPONENT. 6' 33" 12" & 18"
7' 33" 12" & 18"
8' 33" 12" & 18"
10' 33" 12" & 18"
12' 33" 12" & 18"
6' 54" 12" & 18"
7' 54" 12" & 18"
8' 54" 12" & 18"
10' 54" 12" & 18"
12' 54" 12" & 18"
LENGTH CAPACITY WEIGHT MODEL NO. 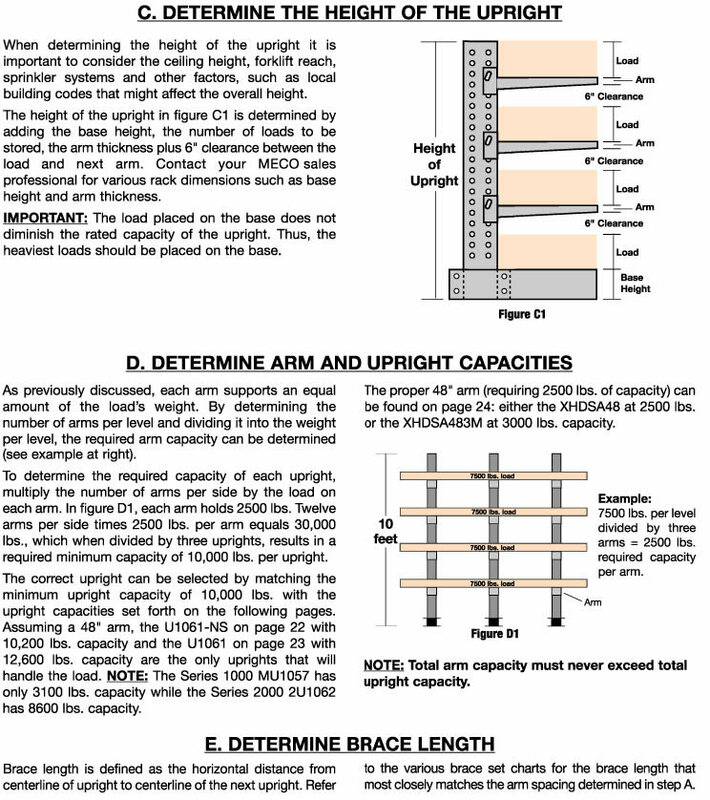 * Length of braces is measured from center of upright to center of upright. 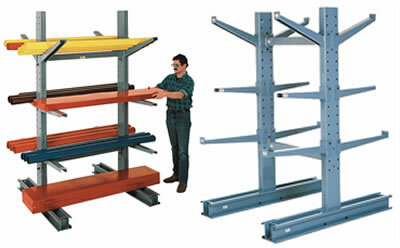 Racks, Meco Cantilever Rack, and Pipe Storage Racks from your source for material handling equipment.